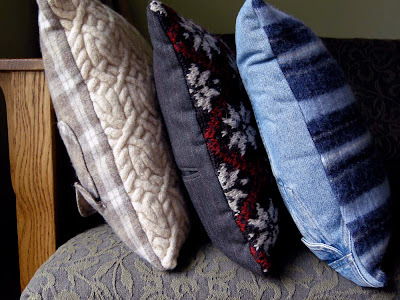 Over at Betz White's blog I saw these great pillow covers that just welcome the coming weather. They are a mixture of old sweaters and shirts. What a great way to have a keepsake or to have a thrifting purpose. Go to take a look at her instructions here. This could also be adapted with a spring wardrobe. Great idea!